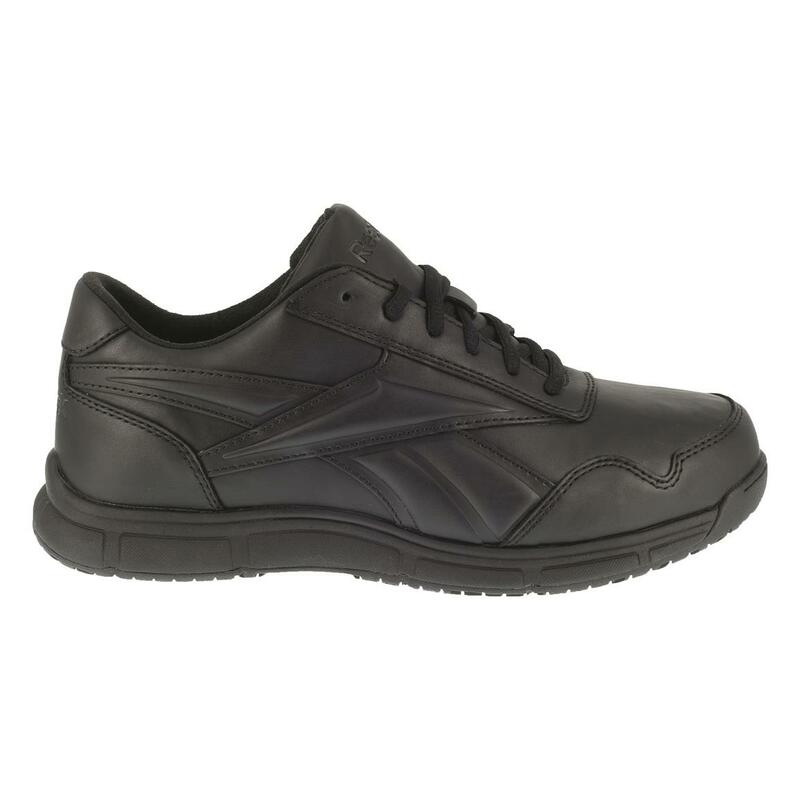 Work comfortably in Rebook® Jorie LT Shoes. 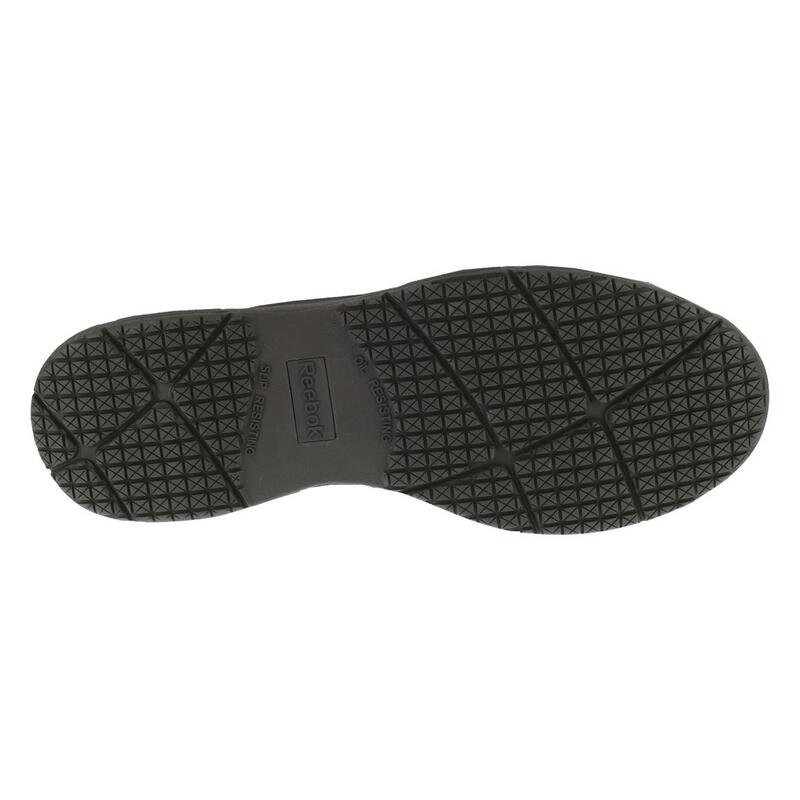 The outsole's maximum surface contact traction and best-in-class slip resistance make these a must for slippery job sites. 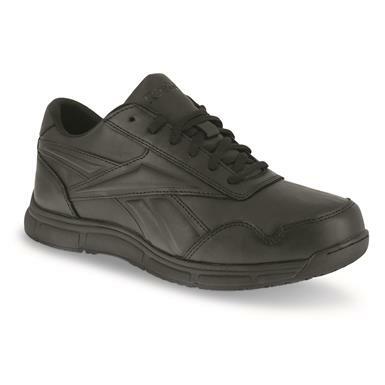 They're even rated ASTM 2892 for soft-toe workplace safety. That will make you (and the boss) happy. But they're also comfortable. 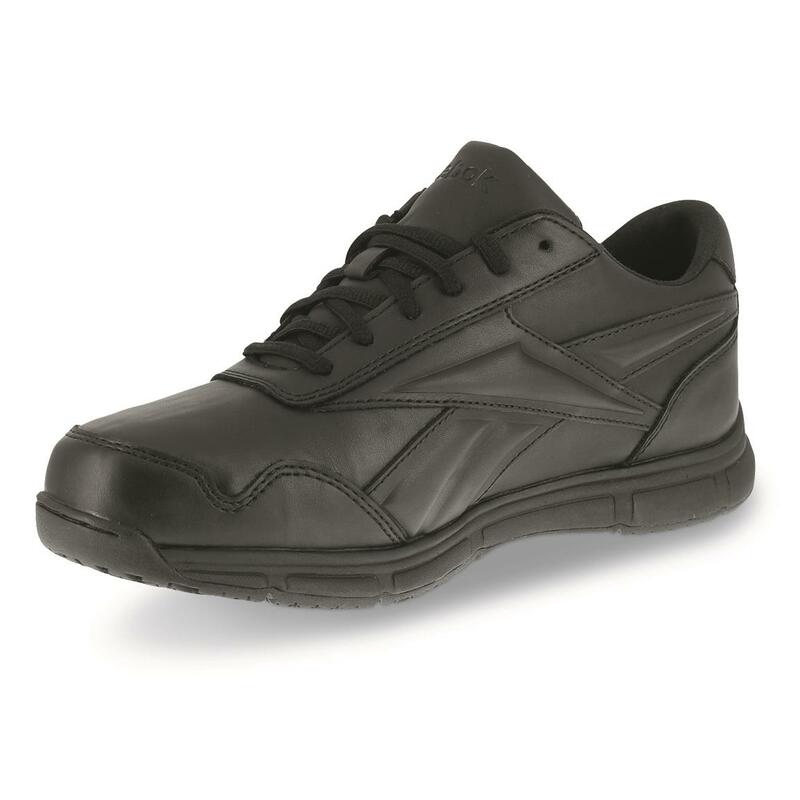 It starts with the memory foam cushioned insole for a plush feel. Plus, the outsole's flex grooves promote a smooth, natural stride. 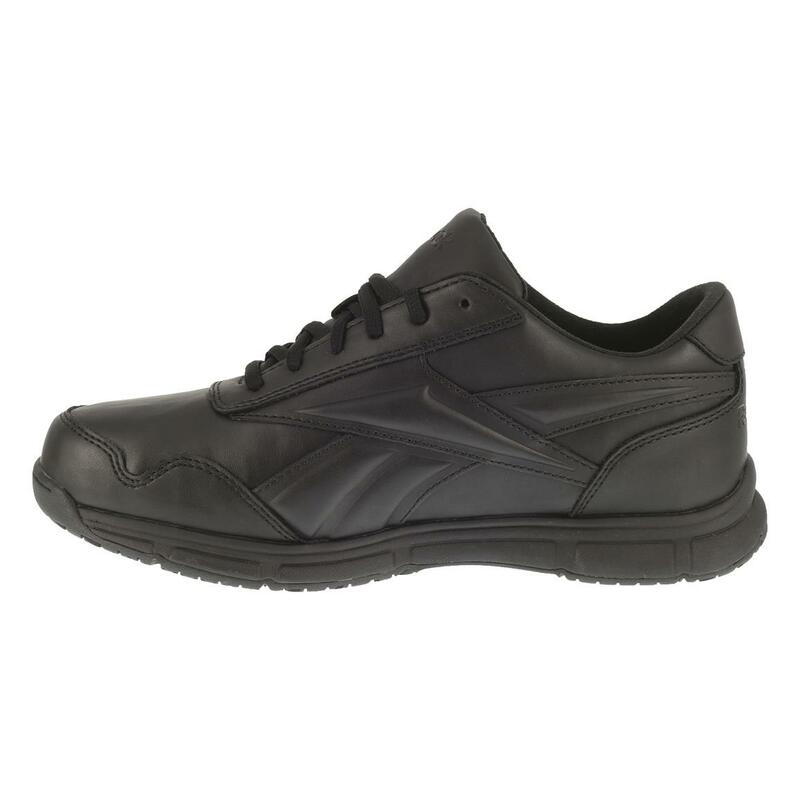 And the low-cut ankle lets you move and shift directions comfortably.